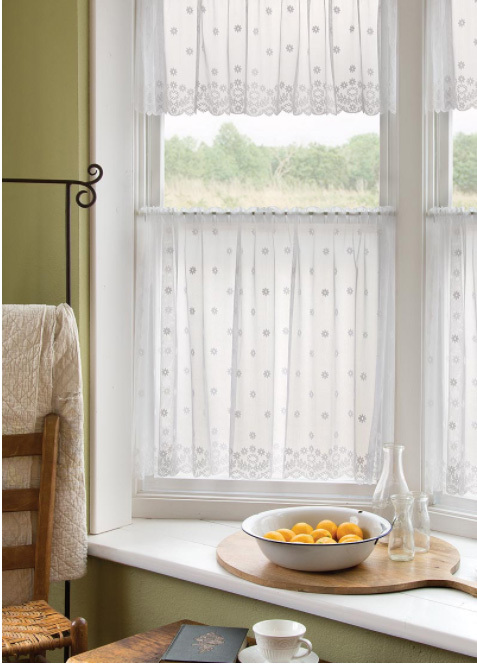 Light and airy DAISY pattern evokes a spring breeze! 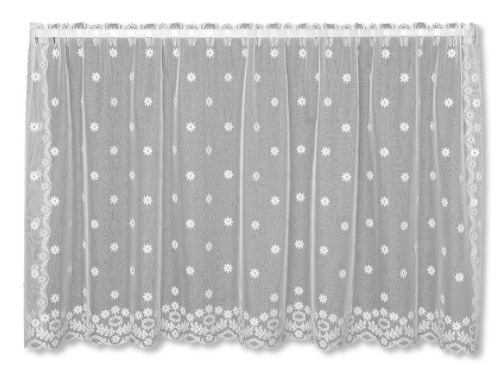 Sheer netting punctuated with floating daisies and a cut bottom edge. 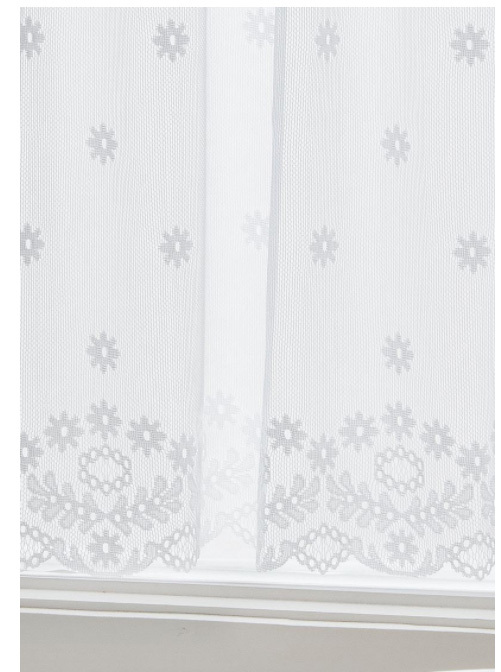 Select Ivory or White in 2 sizes.